A lot can change in a year and that's certainly true when it comes to cars as new technologies and innovations allow us to refine and improve our cars. Advances in safety and engine technology mean there's always something new it next year models. It can be hard to see what exactly has changed from year to year though. We'll compare the new 2019 Nissan Altima to a similar option from last year, the 2018 Kia Optima, to show you just what's changed. 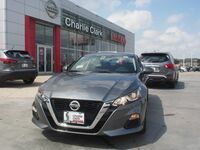 The 2019 Nissan Altima is a car full of new ideas and innovations for Nissan: first production-ready variable compression turbo engine, first-ever Altima with All-Wheel Drive, rear automatic braking, enhanced suspension, steering, and chassis control systems. 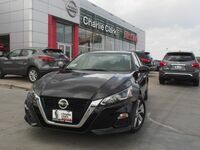 With all the improvements and innovations put into the 2019 Nissan Altima it's easy to see the step up it is compared to older models. When can I get the 2019 Nissan Altima? The 2019 Nissan Altima will hit the market in Fall 2018. You can call us with any questions about the upcoming Nissan Altima or schedule a test drive for any of our other cars. Also stop by our dealership in Brownsville, TX.